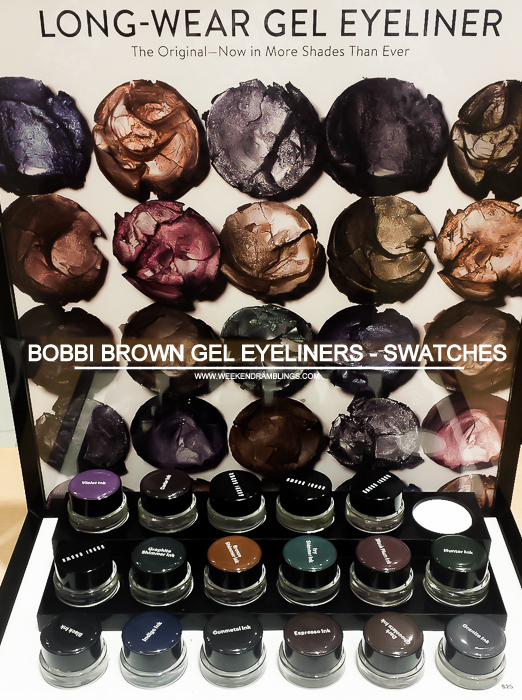 Bobbi Brown Gel Eyeliners have been on wishlist for a long, long time. 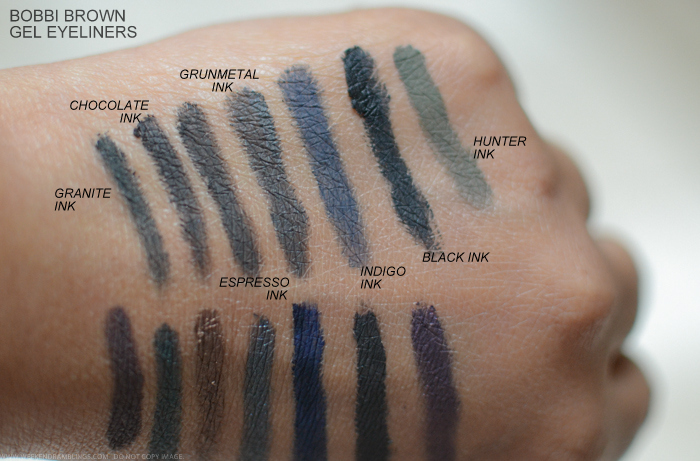 Some of the colors look very similar (Caviar, Espresso,,, Chocolate), but there are some unique shades in there. 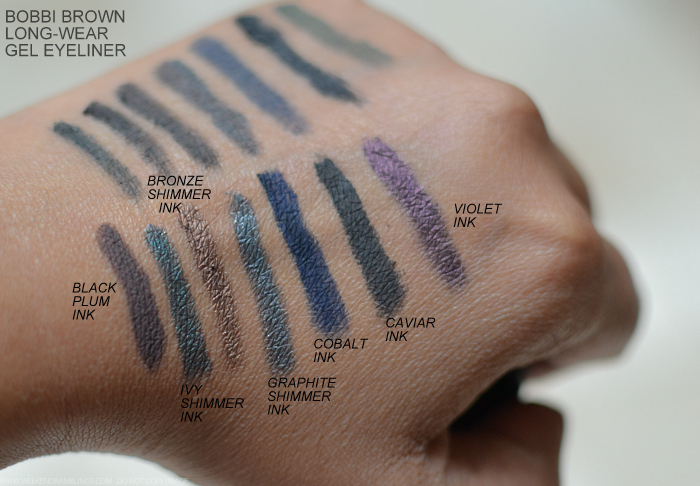 My favorite would be Steel, Chocolate Shimmer, Black Mauve, and Cobalt (and of course, Violet Ink).